It seems a long time ago now, but back in September we travelled to Pontardarwe in South Wales on our first Klezmer-ish “tour”. 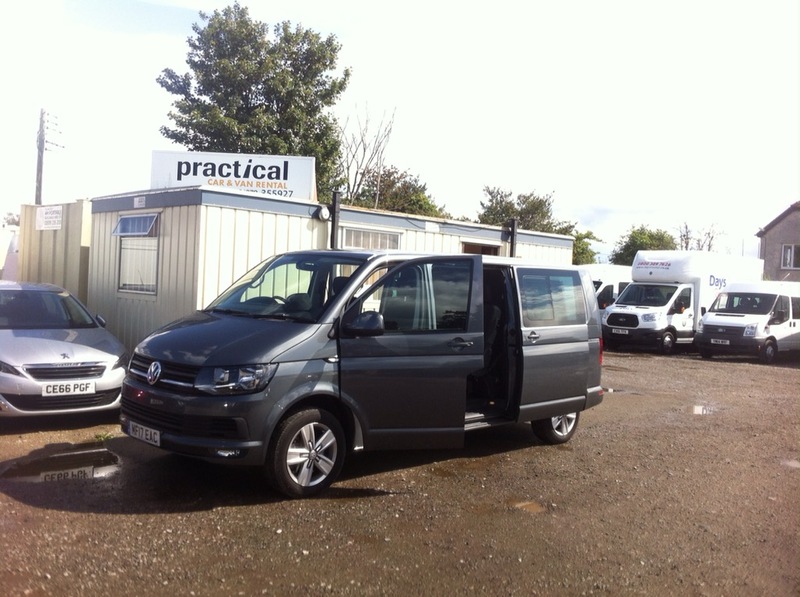 A fun gig and a hearty Welsh breakfast the following morning…we even hired a tour bus! On June 2nd we had the amazing opportunity of appearing live on BBC Radio 3’s “World on Three” programme. It was a thrill to be shown around Broadcasting House (we saw where the news is filmed!) and we were looked after so well by presenter Lopa Kothari and her team. 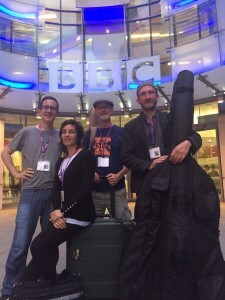 We played four songs (including one by Klezmer-ish’s own Rob Shepley) and did a short interview. It was a slightly surreal experience to start performing at 11.15pm and finish well after midnight! You can hear the show on the BBC iPlayer until the end of June. Looking forward to a return visit to the fantastic Swan, Dobcross, with Klezmer-ish on Sunday. I’m afraid tickets are all sold out, but hopefully there will be some videos of the event to post afterwards! We’re very pleased that Klezmer-ish is now being promoted by Laughing Dog Music. Here is our profile on their website. Here are a few videos from our sell-out concerts in the Music Room back in November. Thanks to Chris Tann for filming and editing them!